The Canadian miner suspended operations at its Ravensthorpe nickel mine in Western Australia in September due to weak nickel prices. 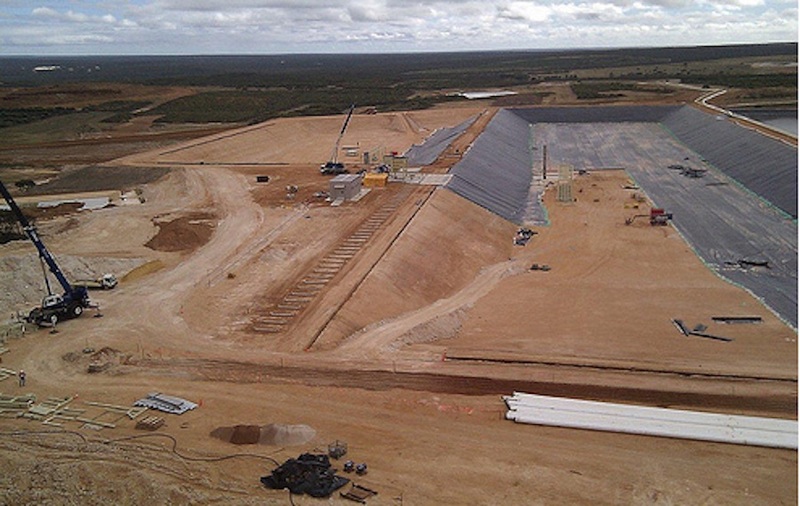 Image shows buffer ponds at the Ravensthorpe nickel mine, courtesy First Quantum Minerals. First Quantum Minerals has been fined $40,000 concerning an incident that occurred at the Ravensthorpe nickel mine in 2014. A wave of approximately two million litres of sulphuric acid slurry initially trapped three workers in a nearby control room before they escaped without injury. The spill destroyed infrastructure, including critical electrical equipment which cut the power supply to the entire site, 540 kilometres south-east of Perth. The tank which ruptured was one of a number of tanks used in the nickel extraction process. "The event had the potential to seriously injure or kill workers in the vicinity of the tank and was entirely preventable," Department of Mines and Petroleum safety director Andrew Chaplyn was quoted saying. The accident closed the mine for 49 days; the atmospheric leach circuit was inoperable for around 7 months. Sulphuric acid for the leaching process is produced on site in a 4,400 tonnes-per-day sulphur burning, double absorption acid plant, First Quantum states on a project page. First Quantum bought Ravensthorpe from BHP Billiton (NYSE:BHP) in 2009, after nickel prices collapsed, then resumed commercial production two years later after making modifications to the processing plant. In 2015 in response to low prices the company laid off 31 workers (out of 488) at the mine, located in Western Australia.